thef1rmwareumbrella: Apple to Put Television On Hold, Focus on Wearable Devices? Apple to Put Television On Hold, Focus on Wearable Devices? Apple has reportedly put its plans for a television on hold again to possibly focus on wearable devices, according to DisplaySearch. Although many financial and industry analysts have been speculating about Apple’s entrance into the TV business via an actual TV (instead of the Apple TV “hobby” set-top-box) for years, during the last year the rumor-mill has shifted into high gear about a 2014 introduction. Indeed, our own information from TV supply chain sources pointed to the fact that Apple appeared to be lining up resources for a product introduction in the second half of 2014, likely with 2-3 large screen sizes and 4K resolution. However, the hangup has always been the content. DisplaySearch notes that to succeed with an Apple Television the company needs a unique point of differentiation and a way to generate follow up sales. The rumor has long been that Apple is working on delivering a la carte pay-TV channels; however, the company is said to have had little success in its negotiations. 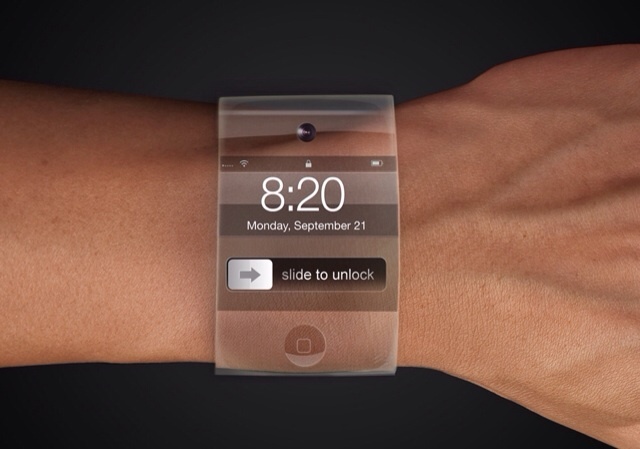 The release of a wearable device appears to be what's next on the horizon for Apple. The company inked a deal with GT Advanced Technologies to product sapphire material which could be used for a watch face. LG is reportedly close to deal with Apple for providing OLED display panels. Inventec is expected to receive orders to assemble the device and Apple has been hiring experts in fitness and other areas to allegedly assist them in design.